Finding a bike helmet for a baby or toddler is HARD. There just aren’t that many bike helmets that are small enough to fit little ones. Even a trip to the local bike shop is likely to leave you empty-handed. But not to worry. There ARE bike helmets that are small enough to fit even the smallest riders. 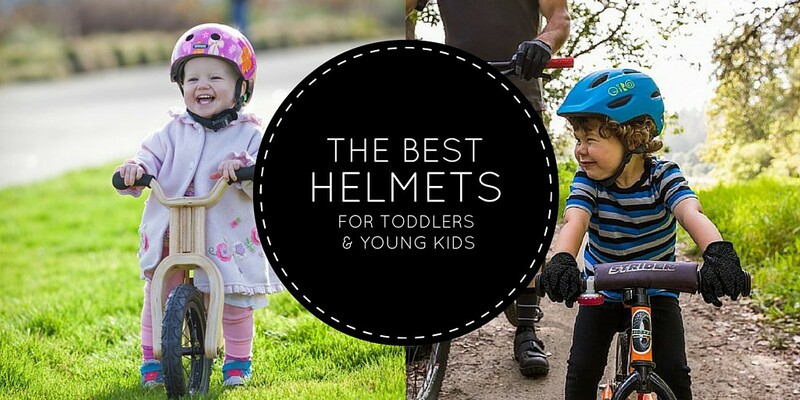 Here’s a round-up of what we consider the best toddler helmets and the best baby helmets. If you’re looking for a good helmet for your little rider, look no further than this list. Note: For older kids, check out our list of the best kids helmets. The Kali Chakra Child is the helmet that my son wears on a near-daily basis. If you are looking for an attractive mountain bike style helmet, this should be your pick. 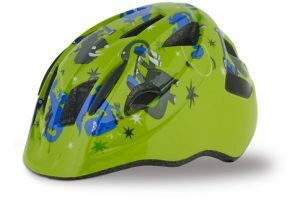 In fact, I think the reason my little boy likes it so much is that it looks cool like Daddy’s mountain bike helmet. The Chakra’s design offers a visor for sun-protection and back of the head coverage. An adjustable dial makes it easy to fit. With all these features at a very affordable price point, I don’t think this toddler helmet can be beat. To learn more, read my full review of the Kali Chakra Child helmet. The Giro Scamp is one of only a few toddler bike helmets on the market with MIPS technology. So what the heck is MIPS? MIPS stands for “Multi-Directional Impact System.” It’s a technology being implemented in more and more top-of-the-line helmets to better protect against “rotational violence.” In other words, it protects against falls where the head hits at an angle. To learn more, read my article on MIPS helmets for kids. The other great thing about the Scamp is that it fits TINY heads. If you have a 12-month-old or 18 month old, the Giro Scamp probably offers the best fit you can find. For more information, read my detailed review of the Giro Scamp. The Bell Sidetrack is one of our favorite helmets for both big and little kids. The “child” size is perfect for toddlers and offers all the features of a more grown-up helmet. It comes in both MIPS and non-MIPS versions and offers excellent rear of the head coverage. Perhaps, most importantly, the helmet looks cool and comes in several bright colors and designs. The only thing we’re not crazy about on the Bell Sidetrack is the cheap buckle. It can be tough to fasten which is hard when you have a wiggly toddler on your hands. Want to know more? Read my full Bell Sidetrack review. The Melon is my favorite skate-style helmet for young kids. It comes in a mind-boggling variety of colors and designs to fit any toddler’s fancy. The magnetic buckle keeps chins from getting pinched, and the helmet provides good head coverage. Compared to other skate-style helmets, the weight is also considerably less which is important for little cyclists. For more information, read my Melon review. Here’s a helmet you can actually find at a local bike shop. The shape of the helmet is designed to be used in a trailer (the back is flatter than most) which makes this a great pick if your little one is spending most of their time being towed. We love the magnetic buckle (no more pinched chins), mesh-covered vent to keep out bugs, and reflective decals. This is a huge step up from Specialized’s previous infant helmet, the Small Fry. Okay, so these helmets didn’t make our top 5, but they are still worth mentioning. Everybody I know loves Nutcase helmets, primarily because they are cute. Both the Baby Nutty and the Little Nutty come in a wide variety of colorful and fun designs. All the cool kids choose Nutcase helmets. The other nice part about the Nutcase helmets is that they are good for scootering and roller skating as well as biking so you don’t need more than one helmet. 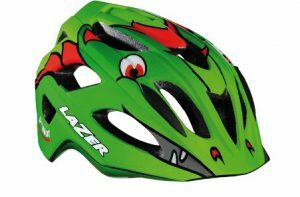 Like the Scamp, the Lazer P’Nut also offers top-of-the-line safety by incorporating MIPS technology. But the awesomeness of this helmet doesn’t stop there. There are several different styles of “nutshells,” covers that you can buy separately to change the look of the helmet. These fun designs include a fireman hat and a space ship. The P’Nut doesn’t just look good–it’s also super functional. An Autofit® Retention System automatically sizes the helmet to your child’s head–no dial required. Still not sure which helmet is best for your child? Here’s a comparison in an easy to read chart.